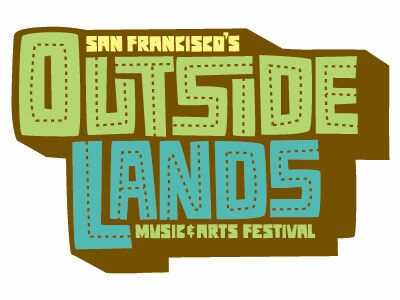 A Guide to All the Outside Lands Guides Online! Quite a lot is happening this weekend. Not only is the weather expected to be hot and sunny, it’s my birthday on Saturday (yay!) and we on the west side have the (in)famous Outside Lands Festival all weekend, starting Friday. Last year I composed a quick guide to attractions around the festival, and posted and tweeted many MUNI fails that weekend as well. It seems the organizers have learned from last year, and have tried to mitigate the effect of millions of Tenacious D fans on the Park and our neighborhoods this year. This year there are so many guides to the festival, it makes it even easier to do a round up of all the places you can get some really good information and plan your weekend accordingly. I’m not attending myself, unless of course I win tickets or something, but I will most likely either camp out on the deck on our roof and watch the masses flood MUNI with a cooler of cheap TJ’s beer, or sell treats to drunken festival-goers at street-fair inflated prices for a few bucks. –The SF Appeal has a list of public transit options courtesy of MUNI. If you’re worried about riding the fail whale, the festival has contracted with Bauer’s to provide shuttle service from 4 locations as well. Whatever you do, don’t even think about driving – DPT is going to be in ticket-writing heaven, assisted by pissed off homeowners and tenants who get their driveways blocked. -Akit, of Akit’s Complaint Department, has composed this well researched list of links and info, and points out that unlike last year, there is now a hotline for you to call with complaints or suggestions at 415 933-6901 (corrected). Thanks, Akit! Likewise, the Richmond SF Blog has similar info, and a map of road closures for you as well. -If you don’t feel like waiting in line for $9 beers, SFist informs us that the entire thing is going to be on YouTube (and there’s even an iPhone app too? wow!) so you could just sit in your backyard, use your laptop, put up some portapotties and find some coyotes to start “doin’ it”, and pour yourself $9 worth of cheaper beer into your stadium cup and pretend you’re there. -Thanks to the magic of Google News Alerts, I came across the Breweventures Blog, and their guide to restaurants, etc. in the Outer Sunset. Last year, I published a similar guide for the Inner Sunset, and it mostly still applies. If you have any tips for concert goers or westside residents, or just wanna sound off on something that’s awesome or annoying, feel free to post in the comments section. Be nice and be sure to enjoy what looks to be wonderful weather this weekend here in San Francisco. This entry was posted in Guides, Local Business Review, Nightlife on the N, Urban Life and Culture. Bookmark the permalink.